In this day and age, when many companies house much of their critical information and infrastructure online, it’s imperative to plan ahead. What would you and your company do in the event of an emergency or sabotage? A business continuity plan can help get your company on the same page for prevention, response, and recovery in the case of a disaster. Disasters can include cyberattacks and sabotage, as well as natural disasters like a fire, a flood, or an earthquake. Other disasters could include a man-made disaster caused by an accident or negligence, as well as intentional sabotage. 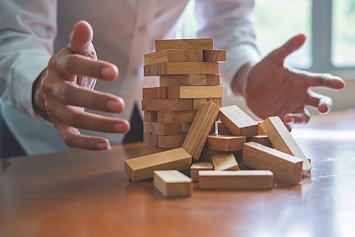 When creating a plan, it’s important to consider every kind of disaster that could happen and what each department or division of the business will do in that situation. Set up a plan with measurable goals, milestones, and expected outcomes. This will include setting a budget for the plan and considering any training time or research the plan will require and when you will consider your business “ready” for a disaster. Next, you should choose your business continuity teams. These will include command and control teams, as well as more task-oriented teams. The command and control teams will handle bigger-picture tasks like crisis and recovery management, as well as facilitation of the process. The task-oriented teams will handle smaller, more specialized tasks like public and media relations, technical or mechanical issues, or legal issues. You will also need to consider conducting a business impact analysis to determine which departments are critical and, therefore, should be allocated resources first. You can identify any pain points or possible dependencies within departments that may factor into where resources are allocated. For example, if one department is critical but can’t function without a less critical department, the less critical department should also be given resources in an emergency. You will need to strategize prevention, response, and recovery to each kind of possible disaster. Prevention strategies could include backup power sources or vendors that could be used to avert a disaster. Response strategies include what your company will do once the disaster has happened. This could include evacuation plans and safety protocols. The response and recovery stage will take place after the situation is contained and include strategies for how your team will get the company back on its feet. You will need to train all employees involved and test the plan multiple times until you are confident that your company is ready. This can include internal reviews but often also includes an external review by a disaster response specialist. He or she can help determine if there is anything that can be included or improved upon. The visual from Nextiva below includes the basic steps for creating a business continuity plan. Consider how your company’s needs will vary before starting the plan and consider your budget and timeline. It’s never too early to create an emergency response plan! Gaetano DiNardi is the director of Demand Generation at Nextiva, with a proven track record of success working with business-to-business (B2B) software-as-a-service (SaaS) brands like Sales Hacker, Outreach.io, and Pipedrive. DiNardi leverages a unique hybrid of expertise in both search engine optimization (SEO) and content strategy to win business results. Outside of marketing, DiNardi is an accomplished music producer and songwriter. To get in touch, follow him on Twitter via @gaetano_nyc.